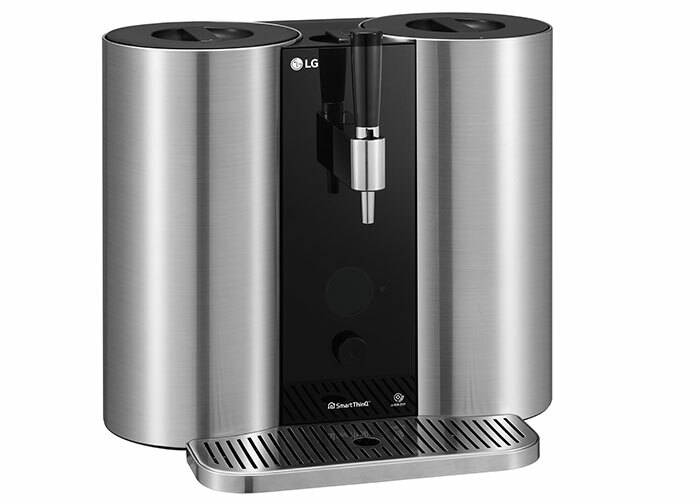 In a surprise move, LG has announced that it will be launching a capsule-based craft beer making machine at CES 2019. The new LG HomeBrew has already won a 2019 CES Innovation Award and offers a one-touch capsule-based solution for making beer at home. Single-use pods will initially be available in five varieties and the machine is app connected, intelligent, self cleaning and produces approx 5 litres of ale per pod. Unfortunately there isn't a technology that can make the brewing process instant (and palatable) so this 'Nespresso / Tassimo for beer lovers' delivers one-touch - then wait a fortnight - functionality. LG will make five beer varieties available in pod form when HomeBrew reaches retail. There will be hoppy American IPA, golden American Pale Ale, full-bodied English Stout, zesty Belgian-style Witbier, and dry Czech Pilsner for owners to brew on the smart push-button system. The single use capsules contain malt, yeast, hop oil and flavouring. LG's machine then takes care of the "whole procedure from fermentation, carbonation and aging to serving and cleaning". Meanwhile, users can download a smartphone companion app to keep track of how their brew is going (Android or iOS). 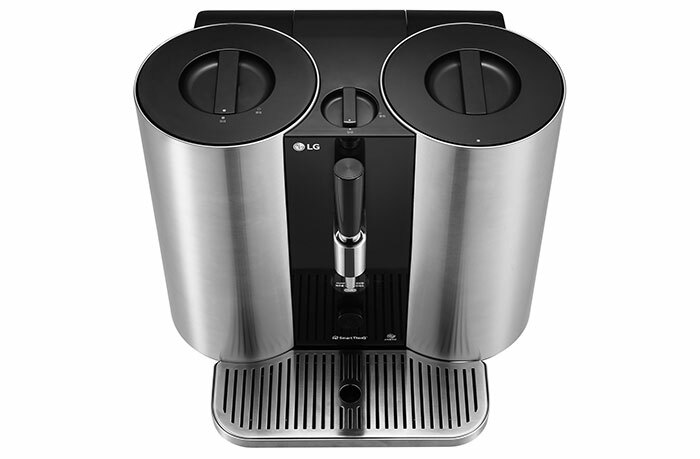 In a deeper explanation of the functionality of the machine, LG says that the HomeBrew device makes use of an "optimised fermentation algorithm," which intelligently controls the fermenting process "with precise temperature and pressure control for guaranteed brewing success". Furthermore, LG's "years of home appliance and water purification technologies," come into play in the HomeBrew. At the end of the process, the machine is clean and ready to use again as all necessary parts will be self-sanitised by boiling water. LG says that it hopes to catch onto the coattails of the craft beer trend by reducing the barriers to entry on the consumer side. I've made many a batch of homebrew with various beer kits and fruits from the garden, using very simple equipment, and like the sound of this type of machine and the more hands-on MiniBrew and PicoBrew - but they tend to be a bit too pricy to justify for such a home craft hobby. Now this is a proper use of tech. Granted, it'll probably taste like vomit, but it's a start, and with refinement, you'll probably get a decent pint out of it. By then though, it'll be shoved away in a corner of the cupboard with only the breville toastie-maker for company. “hop oil and flavouring” says it all. Buy a bucket and the ingredients and make it from scratch - I suspect this product has all the charm of nitro-keg. True a bucket doesn't (yet) have an app - which is all to the good! Device made for those that want to say “I am brewing my own beer” with just pressing the button which removes the whole adventure of actually doing it by yourself.So , for the show offs. In the end, it always comes to the price also. For anyone who really wants to do it, then there are a lot of youtube videos and pages that explains this, and it is quite an adventure. Nobody gets it from 1st(2nd or 3rd) try, but once you have it, you can truly say “I am brewing my own beer”. Most of the fun of homebrewing is ignoring the instructions and messing with the brew. First thing to go should be the plain white sugar that kits tell you to use, no flavour in that. Use brown sugar instead, I used to add a dollop of dark treacle :D If you are just going to insert a capsule of ingredients, then you might as well just open a can of something already brewed.